What’s that yellow thing in the sky? Yes folks, the sun has finally decided to make an appearance. I know, it’s hard to believe, but it’s true. And you know what this means? Our small animals can finally go out to play on the grass! Of course we are talking about the British weather here, and obviously it’s going to rain in a minute, so we should make the most of the sunshine while we’ve got it. Small animals are safer in covered runs, especially if there are neighbourhood cats, dogs or roaming foxes. Most top-opening runs are made with a solid wooden frame which makes the lid heavier and harder for intruders to open. Top-opening runs also make it much easier for you to gain access and catch your pet. The best runs use wire that is small gauge, which means the holes are smaller and makes it tricky for rats and other small furry intruders to get in. 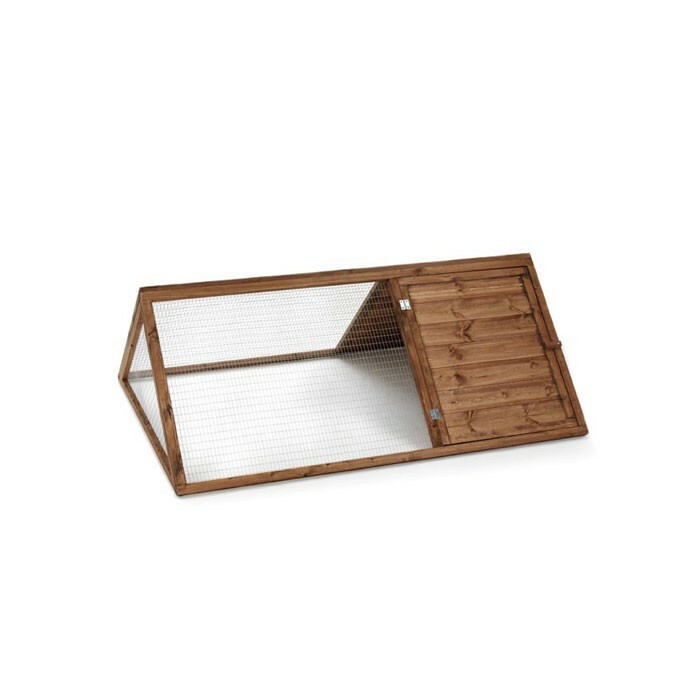 A good run should be spacious with enough room for your pet to exercise and to include a covered hiding area, such as a portable den, or a luxury purpose made animal house. The apex run has a shaded hiding area built in at one end. First thing’s first – check to see the grass isn’t damp. A chilly tummy isn’t good for anyone! Before you allow you pet outside for the first grassy play session of the year, check your grass for weeds and pull them up. The run should be placed on a clear patch of clean grass (not where your dog urinates!) with no debris. As the sun moves around, the shade moves too. Keep one side of your run covered with a blanket to provide constant shade, and check back regularly to move the blanket if necessary. Whenever your pet is out to play, remember to attach a water bottle! Place the water bottle on the outside of the run at a suitable height for your pet to reach it. If there are lurking animals that might take an interest in your pets while they play, grab a couple of bricks and place them on top of the run to weigh it down a touch. Check on your pets regularly to make sure everything is fabulous and amazing and everyone is playing happily and undisturbed. Above all, have fun and enjoy watching your pets enjoy their outdoor play time!